Hi to all my fellow junk lovers. 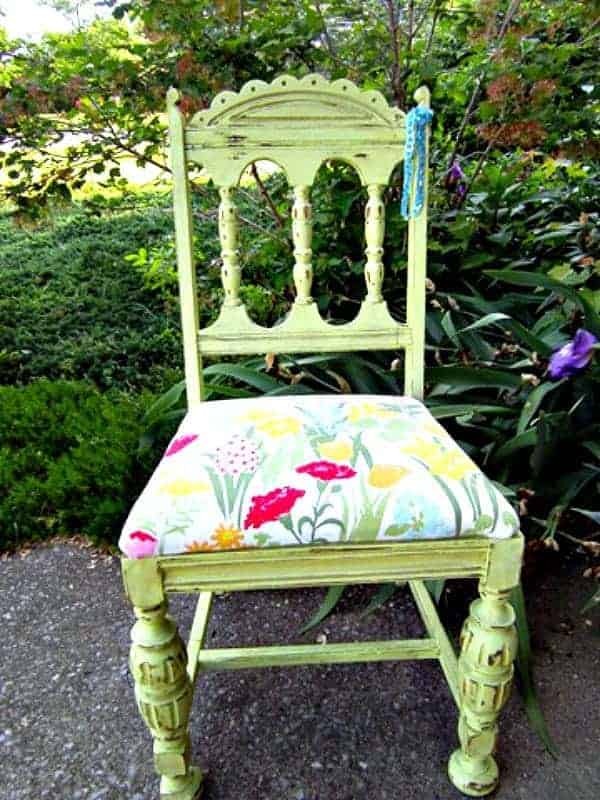 This painted vintage wood chair is my first ever project for my first ever blog post. That being said, I am going to just jump right in. Here goes….. I found this chair at my favorite junk shop. It has great details but definitely needs a makeover. I started by using my handy-dandy drill to remove the seat. A regular screwdriver works too but takes a lot more energy and time. Next I went through my fabric stash to get some inspiration for chair color. I picked out a bright floral piece that once upon a time was a kitchen curtain. I always try to use what I have around the house when redoing anything. To re-cover the chair seat I laid my fabric right side down and cut a piece large enough to fold up around the bottom of the seat. I then stapled the fabric to the seat. I always do 2 opposing edges first, then the last 2 and then ease the corners so I don’t have a lot of wrinkles or folds on the finished product. Sometimes I have to replace the foam in the cushion but this seat was still nice and firm. I just stapled the new fabric over the existing cover. Wow, so easy. Looks great, huh. Only thing left to do is reattach it to the chair. I painted the frame a bright honeydew color. I brushed on the first coat then immediately went over it with a 4 inch sponge roller. I let the paint dry for about 4 hours then distressed the chair with my palm sander. I just hit places here and there where the paint might wear over the years. I finished the chair by aging it a little with Caromal Colours toner. This product cuts some of the sheen and freshness of the color. I screwed the seat bottom on and embellished the back with a little sparkly blue ribbon. I just love this little whimsical chair. You can see it next week at ARTifacts Emporium in downtown Clarksville. I bought 3 chairs from Goodwill that are beige. Would you recommend stripping them first or just sanding them down before I paint them with chalk paint?? I wouldn’t do anything except paint them!! Depending on the original finish the chippiness will be different. If they have a heavy varnish or poly finish they will chip a lot. If the finish is more raw wood or low gloss there will not be much chippiness. If you don’t want the paint to chip then use the bonding agent. Would love to see a pic when you’re done! This chair is a beauty-I'm your newest follower-stop by for a visit! It's your first post?? Welcome! I'm so glad you decided to link up to my party! Yeah! 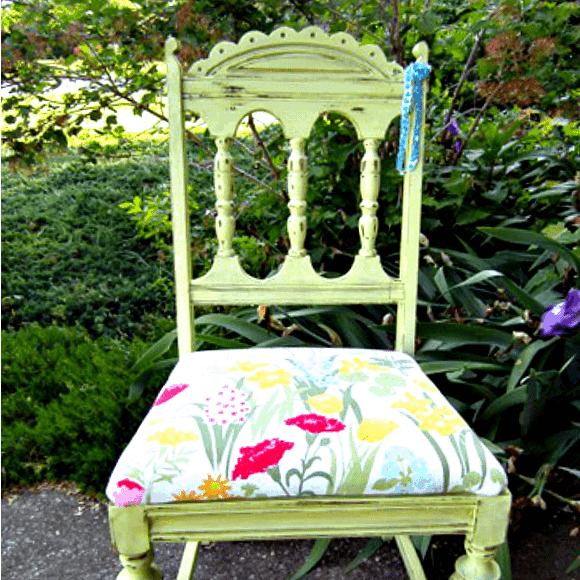 I love, love, love the color of the chair! 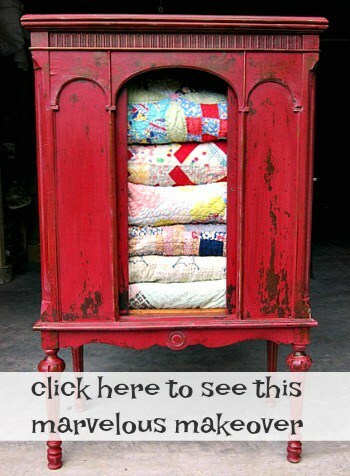 And the fabric is the perfect touch–amazing you had it just laying around your house! Beautiful job! Hi! 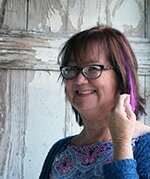 Welcome to Blogland! Nice to meet you!. Great job on the chair. It's like night and day. I'm your newest follower. Found you via Debbie. WELCOME to blogging. You did great on your very first blog post. Very inspiring indeed. If I had to look back at my very first blog post, I would probably slap myself, I had no clue what I was doing. You are off to a great start. Thanks for sharing with my newbie party, come again soon. This is fabulous! The colour of the paint and the fabric are perfect together! How is this your first blog post and your blog already looks so professional???? look at you! look at that chair! look at me leaving an actual comment on your blog and not just waiting until i see you to tell you that i read your blog. congratulations on your new venture!